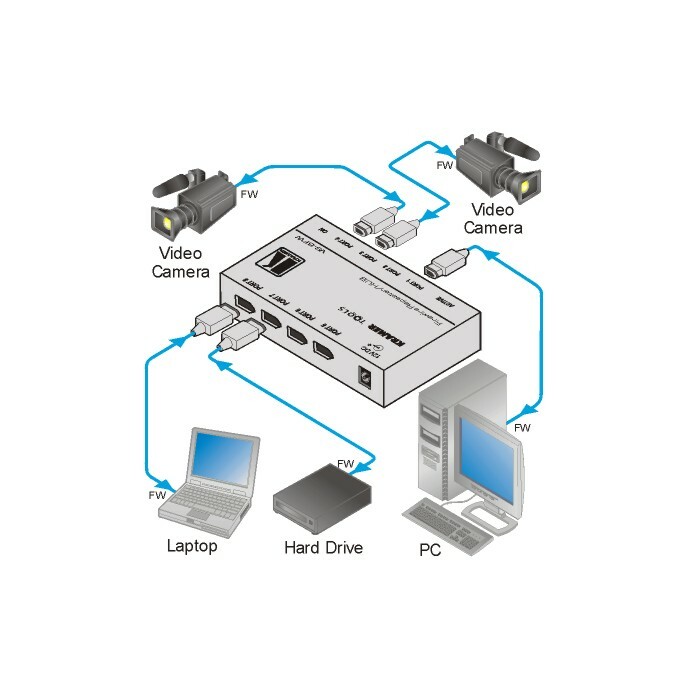 Hello, I have a Kramer Tools VS-8FW (https://cdn.kramerav.com/web/images/diagrams/vs-8fw.jpg) that I used on another platform to be able to have multi cameras, but apparently MimoLive is not compatible with this complement or is there any wood that can use this component? @"Victor Peralta Quito" The Kramer VS-8FW is a FireWire hub and should not interfere with macOS. Can you please let me know what macOS version you are currently using? @"Oliver (Boinx)" Hello, thanks for the answer. I have tried sometimes to tie the Kramer component with MimoLive but I have not succeeded; at the moment I am with the iOS version 10.13.6 and I have found that if I have the component "QuickTimeFireWireDV.component". I do not know why MimoLive does not recognize the component if it was previously used with Wirecast without any problem.